Moving is a tough and draining task. It requires a lot of time, effort and energy to pull out a successful move. In addition to these, the skill and temperament required to execute a relocation plan makes all the difference between a successful and a failed moving service. Thus, it is prudent to avail the services of a professional movers in Kingsland. At CBD Movers NZ, we are reckoned for providing the finest removalists services in Kingsland. With a decade long experience, mandatory certifications and the support of able and competent crew, we offer services that are safe and most sought after. At CBD Movers NZ, we undertake a wide gamut of removalists services in kingsland. We have extensive knowledge of the area and are aware of the nuances of the business. This makes us the ideal choice for house removal, office relocation and furniture shifting jobs. We excel in packing and are trained to dismantle and reassemble furniture pieces deftly. Besides taking up basic loading and unloading jobs, we also provide specialized services for comprehensive packing and moving. 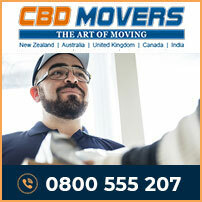 At CBD Movers NZ, we have invested heavily in our equipment. We use well-defined processes and consistently upgrade our skills and techniques to provide the desired services. Our fleet of trucks includes vehicles of various truck loads. From 3 tonne to 8 tonne, we offer vehicles that best fit the removal needs. Each vehicle is perfectly overhauled and befitted with climate control system for the safest removal during temperature variations. We have a well-established network and are certified to take up local and interstate moves. We take every possible step to help you enjoy a happy and accomplished move. 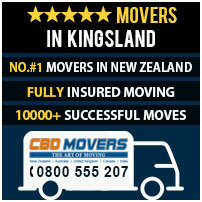 At CBD Movers NZ, we offer the most competitive moving rates in Kingsland. Our customized removal plans helps us alter quotes for removal jobs that are outside coverage area or from different floor level. We do not charge a depot fee and offer the comprehensive transit insurance cover at the cheapest rates. We are transparent in our operations and have no hidden clauses. Kingsland, an inner-city suburb in Auckland, New Zealand is the largest and the most populous urban area in the country. With all the amenities and facilities required for comfortable work and stay, Kingsland is the place to be in. At CBD Movers NZ, we extend our superior services and support to help people move to and from Kingsland with ease and comfort. We offer safe and reliable services that are customized and affordable in every way. Get in touch with us to avail the best removal deals in Auckland.